#3 Light Copper are some of the most common copper materials found in scrap yards. They consist mainly of copper flashing, gutters, roofing materials, sheet copper, boilers, and thin copper from solar panels. They can be found in metal fabricator facilities, construction sites, and demolition sites. For copper to be considered #3 Light Copper, it must be unalloyed, clean and free from paint, tar, lead, and rust. Average copper content for light copper is 90%. 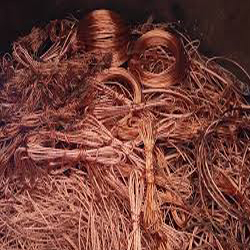 #3 Light Copper is considered to be a valuable scrap material and can be sold to scrap yards and dealers at high prices, usually by the pound.